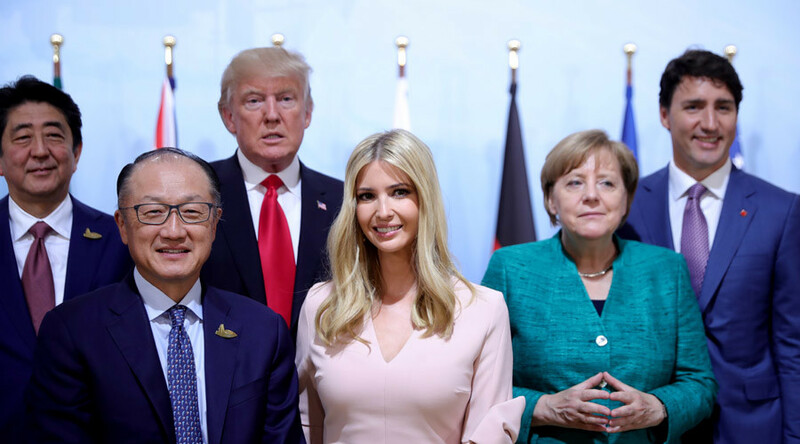 Ivanka Trump replaced her father US President Donald Trump at a meeting with world leaders on the second day of the G20 summit in Hamburg. Russian emissary Svetlana Lukash tweeted a photo of Ivanka sitting in the president’s place next to UK Prime Minister Theresa May, China’s Xi Jinping and German Chancellor Angela Merkel during a Saturday meeting on Africa, migration and health. 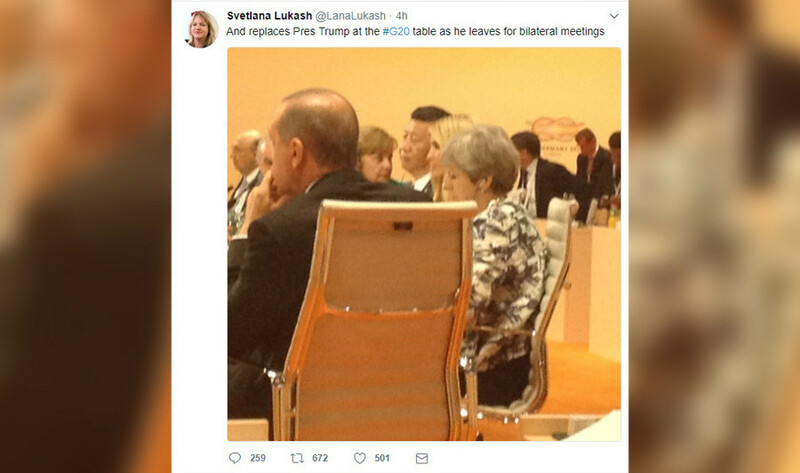 Trump vacated his seat at the table to attend “bilateral meetings” according to Lukash in the now-deleted tweet. The White House said Ivanka “briefly joined the main table when the President had to step out,” according to the AFP. Cabinet officials are usually tasked with replacing the president during these sessions, The Hill reports. The president’s daughter is an unpaid official advisor for the administration. Merkel later said she had no issue with Ivanka briefly taking President Trump's seat during the event. 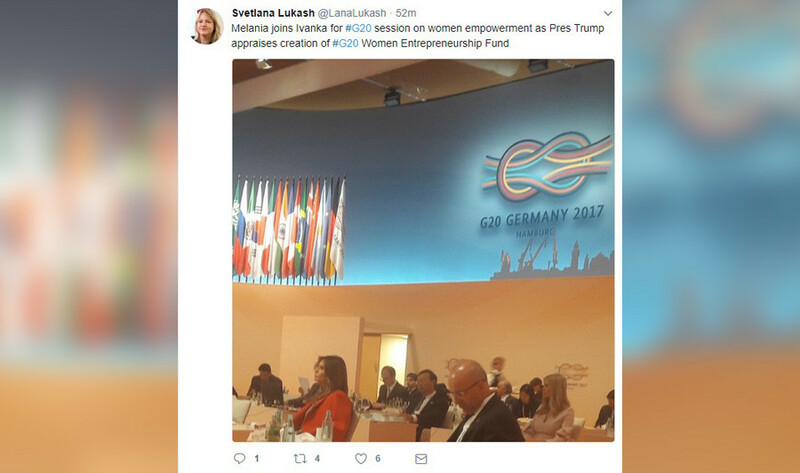 Ivanka also attended a session later on Saturday, where she was joined by First Lady Melania Trump to discuss the launching of the G20 Women Entrepreneurship Fund.